Do I need to pay tax on income earned from selling shares? We all know that Income from salary, rental income and business income is taxable. But what about income from sale or purchase of shares? Many homemakers, retired people, spend their time gainfully buying and selling shares but are unsure of how this income is taxed. 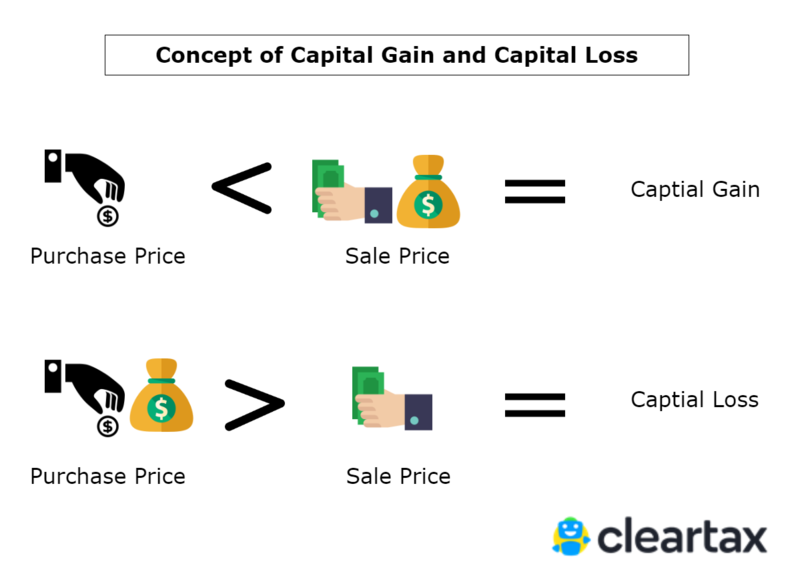 Income/Loss from sale of equity shares is covered under the head ‘Capital Gains’. If equity shares listed on a stock exchange are sold within 12 months of purchase, seller may make short term capital gain or incur short-term capital loss. If the shares are sold at a higher price than the seller paid to buy them, the seller makes a short-term capital gain. Alternatively, if the shares are sold at a lower price than the seller paid to buy them, the seller incurs a short term capital loss. If equity shares listed on a stock exchange are sold after 12 months of purchase, the seller may make long-term capital gain or incur long-term capital loss. As per the provisions of the Financial Budget of 2018, if a seller makes long term capital gain of more than Rs. 1 lakh on sale of equity shares or equity oriented units of mutual fund, the gain made will attract a capital gains tax of 10% and the benefit of indexation will not be available to the seller. These provisions apply to transfers made on or after 1 April 2018. Before the introduction of budget 2018, long-term capital gain made on sale of equity shares or equity-oriented units of mutual fund was exempt from tax under Section 10(38). Atul purchased shares for Rs.100 on 30th September 2017 and sold them for Rs.120 on 31st December 2018. The Value of the Stock was Rs. 110 as on 31st January 2018. Out of the capital gains of Rs. 20 (i.e 120-100), Rs. 10 (i.e 110-100) is not taxable. Rest Rs. 10 is taxable as Capital gains @ 10% without indexation. Short term capital gains are taxed at 15%. What if your tax slab rate is 10% or 20% or 30%? Special rate of tax of 15% is applicable to short term capital gains, irrespective of your tax slab. Also, if your total taxable income excluding short term gains is less than the minimum income which is chargeable to tax (Rs 2,50,000 for financial year 2016-17) – you can adjust this shortfall against your short term gains. Remaining short term gains shall be then taxed at 15% + 4% cess on it. Whereas long term capital gain on equity shares listed on a stock exchange are not taxable up to the limit of Rs. 1 lakh. As per the amendments in budget 2018, the long term capital gain of more than Rs. 1 lakh on the sale of equity shares or equity-oriented units of the mutual fund will attract a capital gains tax of 10% and the benefit of indexation will not be available to the seller. These provisions apply to transfers made on or after 1 April 2018. Any short term capital loss from sale of equity shares can be set off against short term or long term capital gain from any capital asset. If the loss is not set off entirely, it can be carried forward for a period of 8 years and adjusted against any short term or long term capital gains made during these 8 years. It is worthy to note that a taxpayer will only be allowed to carry forward losses if he has filed his income tax return. Therefore, even if the total income earned in a year is less than the minimum taxable income, filing an Income Tax Return is a must for carrying forward these losses. Long term capital loss from equity shares until Budget 2018 was considered to be a dead loss – It can neither be adjusted nor carried forward. This is because, Long Term Capital gains from listed equity shares were exempt, similarly losses from them were not allowed to be carried forward. After the Budget 2018 has amended the law to tax such gains made in excess of Rs 1 lakh @ 10%, the government has also notified that any losses arising from such listed equity shares, mutual funds etc would be allowed to be carried forward. The income tax department has vide its FAQs issued dated 4 February 2018, inter alia clarified that LTCL from a transfer made on or after 1 April 2018 will be allowed to be set-off and carried forward in accordance with existing provisions of the Act. Therefore, it can be set-off against any other LTCGs and unabsorbed LTCL can be carried forward to subsequent eight years for set-off against LTCG. STT is applicable on all equity shares which are sold or bought on a stock exchange. The above tax implications are only applicable for shares which are listed on a stock exchange. Any sale/purchase which happens on a stock exchange is subject to STT and therefore these tax implications discussed above are only for shares on which STT is paid.